I just read Russell Simmons meditation book. 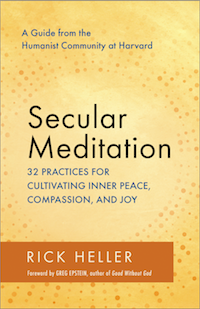 It’s subtitle is “Meditation Made Simple” and it is a nice introduction aimed at people who do not meditate and wonder whether they should give it a try. One of its strengths is Simmons’s accessible, conversational style and his ability to explain how meditation can help people like his younger self who have been involved with drugs or brushes with the law. He explains that drugs often serve as a form of self-medication and meditation can help people deal with their suffering in a much healthier way. Although the book has “success” in its title and Simmons talks about how a meditative focus can help in business, it’s clear that his vision of success is broader than financial. He talks a lot about how meditation can help people excel in the creative arts. Another thing that is refreshing is that it takes eclectic view, not entirely secular but not tied to religious dogmas either. Simmons also does a good job presenting a selection of the scientific research showing benefits to meditation. I like his thoughts about nonjudgmental compassion and trying to connect with everyone, even right-wing talk show hosts whose politics he disagrees with. We do mantra meditation from time to time at the Humanist Community at Harvard. The mantra I use is “just love,” with “juuuust” on the in-breath and “looooooove” on the out-breath.